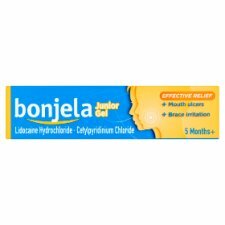 Bonjela Junior Gel is an oromucosal gel indicated for the relief of pain with mouth ulcers. Do not store above 25°C. Do not use after the expiry date. Directions: Check that the cap seal is unbroken before first using the product. To open pierce the tube seal. 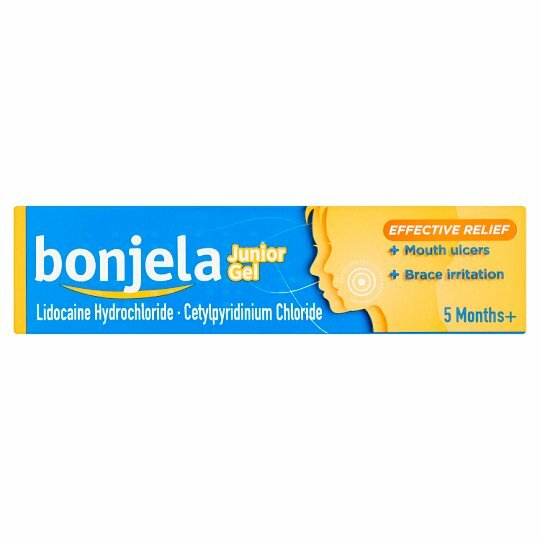 Apply a small amount of gel with a clean little finger onto the sore area and massage in gently. This initial application can be repeated after 20 minutes and then one application every 3 hours, if necessary. Keep out of the sight and reach of children. NOT SUITABLE FOR INFANTS UNDER 3 MONTHS. WARNING: Do not use more medicine than the label tells you to. Do not use more than every 3 hours. If symptoms persist, consult your doctor or dentist.